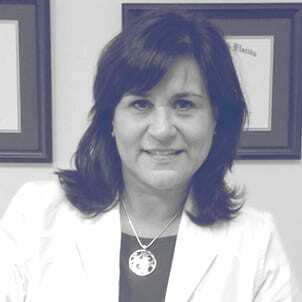 Ms. Ramos-Archbold is a board-certified psychiatric ARNP, trained to diagnose and prescribe medication for patients who have mental health or substance abuse issues. Ms. Ramos-Archbold has been a psychiatric ARNP for over six years, and has served on the faculty of the College of Nursing at St. Petersburg College, where she was the lead instructor for Pharmacology for Nursing and Psychosocial Nursing Education. She received the Award for Advanced Nursing Practice Excellence in Nursing from St. Petersburg College and has served in a clinical capacity for the Bay Pines Veteran's Hospital and St. Anthony's Hospital. Psychiatric nurse practitioners perform many of the same functions as psychiatrists, including diagnosing mental illness and prescribing medication. Ms. Ramos-Archbold is a board certified ARNP who treats a wide of mental illnesses with special concentrations in depression, anxiety, social anxiety, biopolar disorder, schizophrenia, postpartum depression and alcohol/substance abuse. I didn’t know where to turn and called Advantage Mental Health. They gave me an appointment right away and Lisa Ramos was fabulous. She really listened to my problems and didn’t just whip out her prescription pad. She took the time to figure out was what really going on in my life and with my depression and anxiety. The medication she prescribed has helped immensely and I feel like my old self again. Lisa helped my son with his alcohol addiction and we are so thankful for her help. She is very knowledgeable and knew exactly what to do. It is a relief being with a professional who is so competent and caring. I’ve struggled with mental health issues all my life and been to many different doctors. I was impressed by Lisa’s compassion and her medical expertise. She’s on time, gives you plenty of time to express yourself, and prescribed a medication regime that is working out really well for me. I highly recommend her! I found Advantage Mental Health online and at first was unsure about seeing an ARNP and booking with a place I found online since my issues were very personal in nature. But Lisa was awesome. As knowledgeable as any MD I’ve ever been to and she gave me medication that is helping me. The staff is friendly and non-judgmental and the offices are very nice.